Hi! How are you? This is Mochizuki Takinojo's web site. Wellcome! Hi! This is Mochizuki Takinojo! 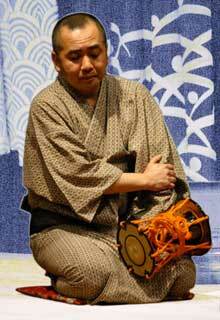 I am a Japanese traditional percussionist. Welcome to my WEBSITE. Are you familiar with Japanese traditional percussion? As you can imagine, our performance techniques differ from Occidental performance practice very much. I would like to introduce Japanese traditional percussion instruments and performance techniques to you on this site. 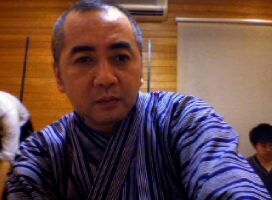 I will cover not only KABUKI and traditional performing arts but also contemporary music performance practice.